India’s leading GSM Mobile service operator Vodafone today announced the launch of new FRC 56 for its Prepaid mobile subscribers in Mumbai which offers reduced tariff with local call as low as 40 paisa and STD calls just at 50 paisa to anywhere in India. The mobile giant Vodafone Essar’s prepaid customers of Mumbai can avail this new reduced tariff, with the purchase of FRC 56 voucher or Bonus card which comes with talk time of Rs.48 and valid for first five month from the date of activations. 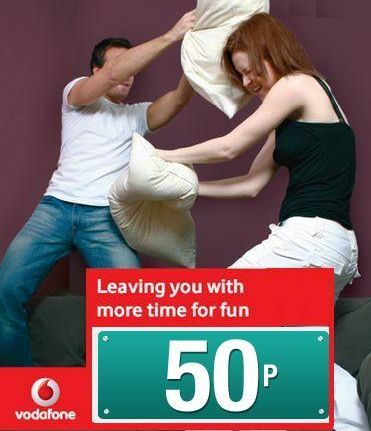 The Existing Vodafone customers get this tariff on Rs.51 Bonus Card with zero talk time and valid for 5 months. Local Vodafone to Vodafone calls @ 40paisa /min and Other Local calls (mobile & landline) @ 50 paisa /min. The Regular tariff will be applicable for the First minute of the day for calls to local Vodafone mobile phones, all other local phones and STD calls will be charged at standard rate. To know more call 144 from Vodafone or 98200-98200 from other phone. presently i am having vodafone prepaid connection with lifetime validity. The call rate was 1 rs per minute at that time. I want to know whether the different schemes of low tariff per minute advertised by vodafone (that is 40 p per minute etc) can be availed be me by just refilling with the stated amount.